Part 2 (of 2) Great Learning: What are the ‘important things’ that make learning ‘GREAT’? 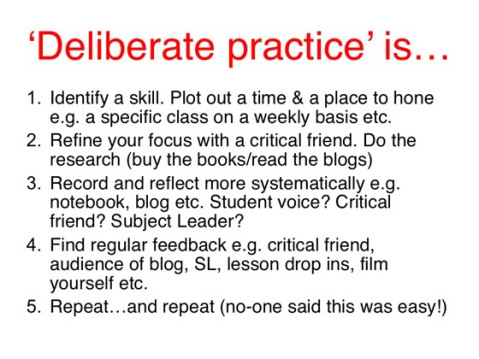 In an earlier post on ‘Great Learning’ I wrote about the qualities that separate the very best teachers from the rest, Passion/growth mindset, Self reflection and a commitment to Deliberate practice were my top 3…. I have been reading Hywel Roberts book “Oops! : Helping children learn accidentally” this week and he sums it up perfectly, great teachers exude ‘botheredness’ from every pore..they smile, laugh, encourage and praise. If I was asked who my favourite teacher was at school it would be Mr Race, my History teacher, he taught me from year 7 to 13 and did all of the above. He gave me a love and passion for the subject that has never left me. Mr Race rang my mum when I was in the sixth form, as he sensed a change in my attitude towards my learning and expressed his concerns to her. I certainly didn’t thank him for it at the time but I know why he did it….because he was bothered..Think about your best teacher from school?why did you like them?I expect that they too exuded ‘botheredness’. So if these qualities are the mark of a great teacher, then how does this translate into great classroom learning? Lemov advocates the 80/20 rule, to become great you should concentrate on practicing the 20% of things that create most value, practice the highest priority things more than everything else combined. I have given much thought to what the ‘highest priority things’ are and what we should we be practicing? 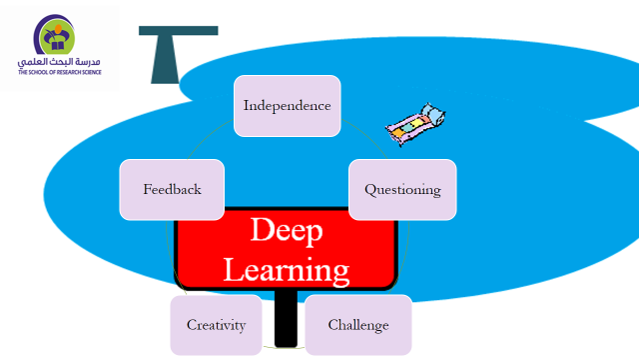 I have written in an earlier post, ‘What Mr Ofsted taught me..’ about outstanding Teaching and Learning and what I learned from an inspector about the key features of great learning. Essentially the kids are actively engaged, they excellent make progress and students are in a deep state of learning. My staff development group have come up with a ‘big 5’, key foci we would like staff to choose from, to consider for deliberate classroom practice; they are not new but those things we should all consider as the ‘bread and butter’ of our core business, great teaching and learning. The things that have the biggest impact on our students, the vital aspects of our pedagogy, Feedback, Independence, Questioning, Challenge and Creativity. 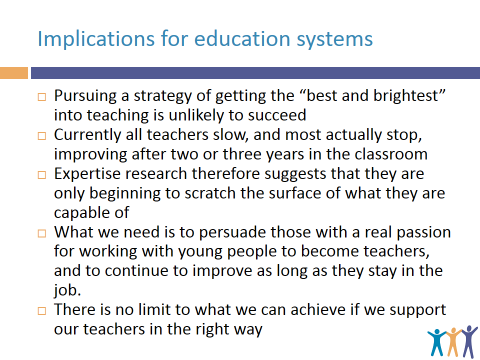 I was fortunate to come across an archive of Dylan Wiliam’s presentations via Twitter recently and Dylan offers much in the way of research to show us that teachers do not get better just by experience alone and that there is a need for teachers to make a commitment to continuous improvement of their practice. Which of the ‘big 5’ do you need to focus on? Which class(es) will you practice on? What strategies will you use? What method are you going to use to record/ reflect on your progress? Hi this is excellent! I’m just about to introduce lesson study in my school next term with the self-chosen focus of one of these areas. Your lists of research sources will be really helpful resource. Many thanks. Will look forward to reading your blog about how your work is going.